In ancient times, the art of tattooing was referred to as ‘kakau’ in Hawaii. Originally done only in black ink, tattooing was a practice that marked religious devotion and passage into adulthood. Since enduring the tattoo needle can be painful, the act symbolized toughness and bravery. 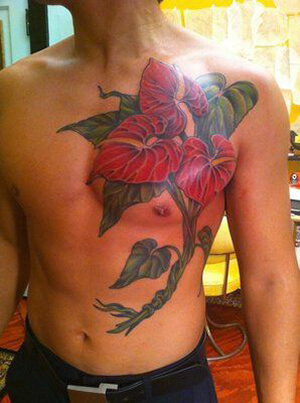 Below, we’ve put together a comprehensive list of Hawaiian tattoo meanings. 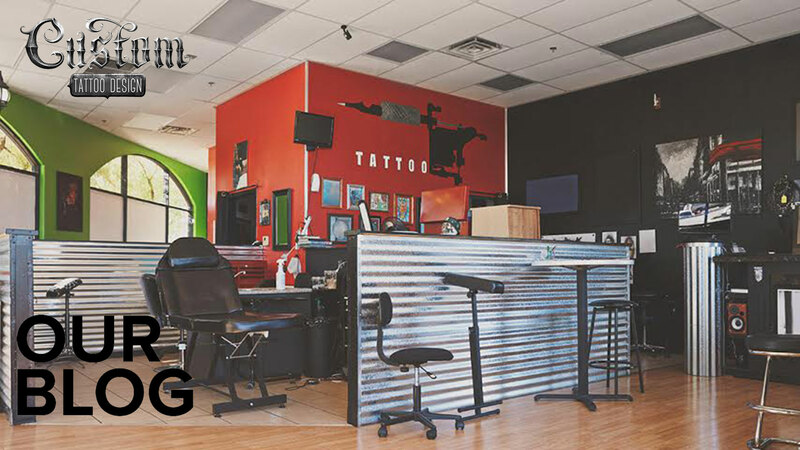 Read on, and discover some of the liveliest tattoo designs in existence! Anthurium: this red flower symbolizes hospitality, kindness, and friendship as a tattoo design. Gecko: believed to have supernatural powers, the gecko is a special Hawaiian tattoo design. Usually portrayed in a simple, black geometric style, the gecko is a foreboding symbol of illness and bad fortune. 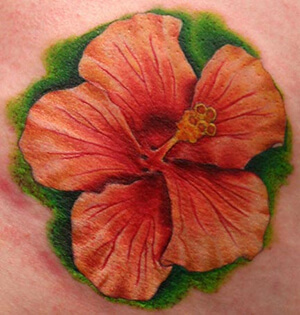 Hibiscus Flower: this flower is the quintessential symbol of Hawaiian women. 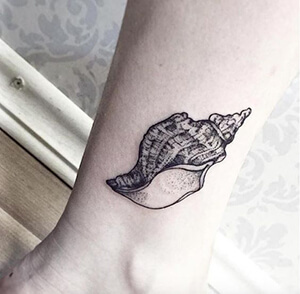 This tattoo design is also associated with summertime and fun. 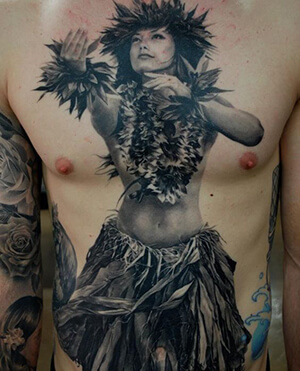 Hula Dancers: these dancing, ukulele-playing women are an iconic Hawaiian tattoo symbol. They represent a form of dance that’s unique to Hawaiian culture. 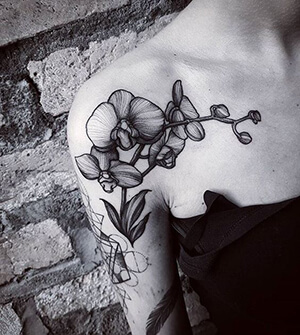 Orchids: popular in Hawaii, these flower tattoo designs are symbols of love, beauty, and luxury. 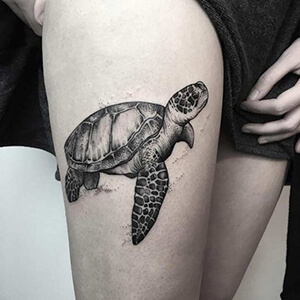 Sea Turtle: due to their exceptionally long lifespan, sea turtles have come to represent long life and fertility as tattoo designs. Sharks: these fierce sea creatures are a strong symbol of protection. 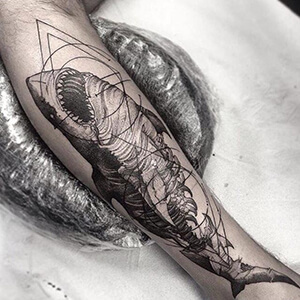 Shark designs are believed to bring protection to the wearer. Shells: thousands of years ago, shells were a form of currency. Due to their historical purpose, they have come to symbolize prosperity and wealth as tattoo designs. 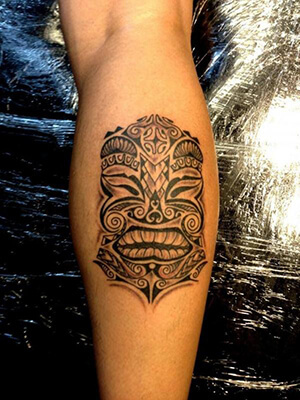 Tiki: a mythical ancestor who is remembered as ‘the first human being,’ Tiki is a popular Hawaiian tattoo. Tiki was said to have the power to anticipate danger. Volcanoes: as an island made up of 5 volcanoes, these eruptive natural formations are a central symbol of Hawaiian life. 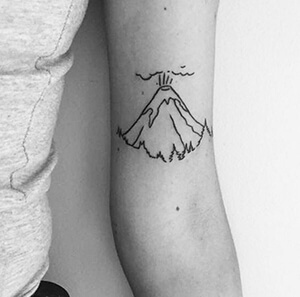 A volcano tattoo can represent a nostalgic connection to the island. The flora and fauna of Hawaii play a large role in the culture. Life on a tropical island is a life spent outside, and this special connection to nature really shows in Hawaiian tattoos. 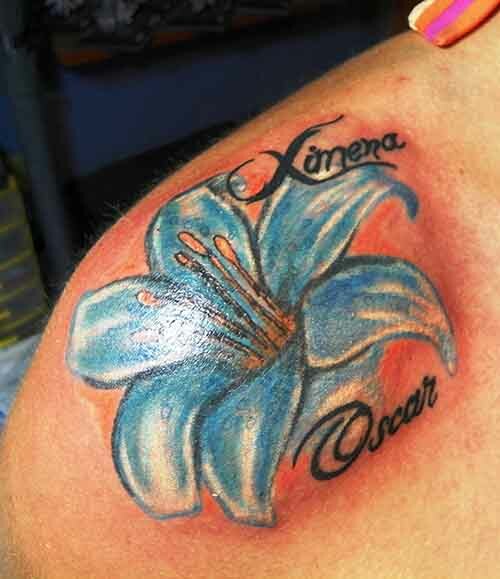 If you know of other interesting Hawaiian tattoo meanings, let us know about them in the comment section below!